You might have seen that Waterstones have faced some controversy this week. It turns out they've been opening small bookshops under different names in some towns in the UK. People thought these shops were independent and feel they've been lied to and tricked by Waterstones. I can understand where these people are coming from and I don't know about their towns, but I do know about the town I grew up in, where we used to have two bookshops and now we have none. Almost every Saturday when I was a child my dad and I would visit the bookshop at the bottom of town on our way to my grandparents' house. He would browse the books at the front of the shop and I would sneak off to the back. I would sit on the floor next to the children's books, look at all the covers, read the blurbs, read the first few pages of some, or even the first few chapters if Dad was having a particularly long conversation with someone. That bookshop is empty now. The shelves are all gone, the white paint on the front of the building is chipped and peeling, and if you squint through the dirty window you can just about see the years of rubbish being stored inside. The second bookshop was part of a bigger shop. Downstairs there was stationary, greeting cards, children's toys, and magazines. I usually got distracted by the Barbies so rarely made it up the huge wooden stairs to the bookshop above. It felt like a place for grownups for some reason and the few times I did go up there, I always felt like I was in a special place. I didn't read pages of the books here. I stroked the covers of the Penguin Classics with their beautiful watercolour paintings and wondered if I would ever be grown up enough to read these books. Then a W H Smith opened across the road and the grown ups said it would be the death of the other shop. They were right. That huge shop laid empty for years. Now it's half a coffee shop and half a charity shop. But there's a town not far from where I live that does have a new bookshop, opened quite recently. 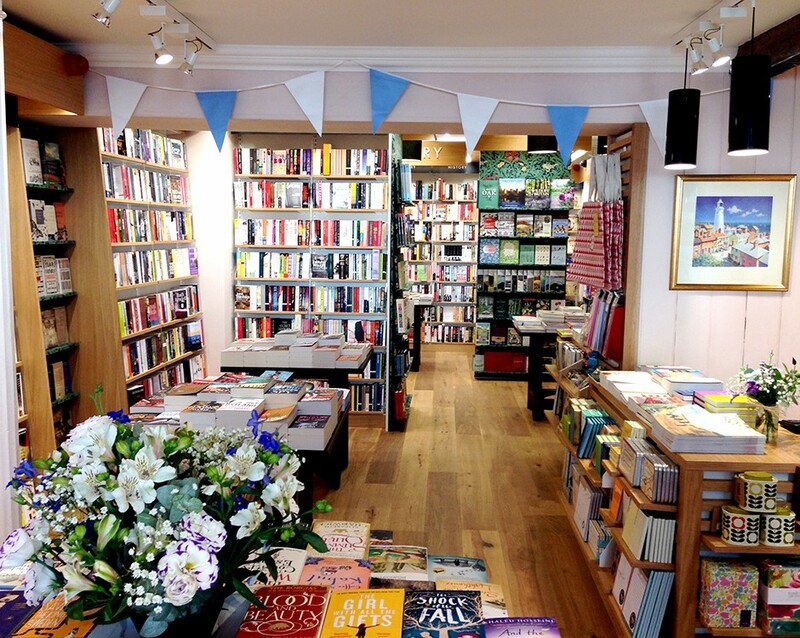 It's bright and welcoming, with a carefully curated selection of books. They have a display of books set in Cornwall, and another of books by a certain celebrity chef who owns a lot of businesses in the town. After I first found this bookshop I did a little research and sure enough discovered that it is partly owned by that celebrity chef. Just as most of the businesses in that town are now. Nevertheless, they have a bookshop and we don't. It might be a sneaky bookshop, similar to Waterstones' own sneaky bookshops, but if someone asked me to choose between an empty bookshop and one owned by a big chain acting as an independent, I know which one I would choose.